Amber is a dj and producer from Amsterdam. Eight years ago Amber started to play music and because of her refined choice of records she quickly got bookings at events across the country. After finishing her studies at the aviation academy, where she obtained her commercial pilot license, she is now fully dedicated to producing and playing techno. Amber effortlessly combines the old and new, digital as well as vinyl with her characteristic dark and energetic sound. 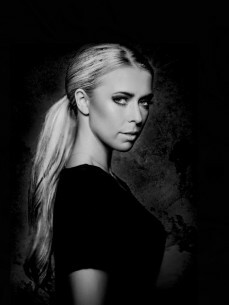 Amber has released her tracks on Riot Recordings, Redrum Music and Eclipse Recordings and is working on a lot of new techno tracks. Currently Amber holds a residency at Techno Tuesday’s at the iconic Melkweg in Amsterdam.